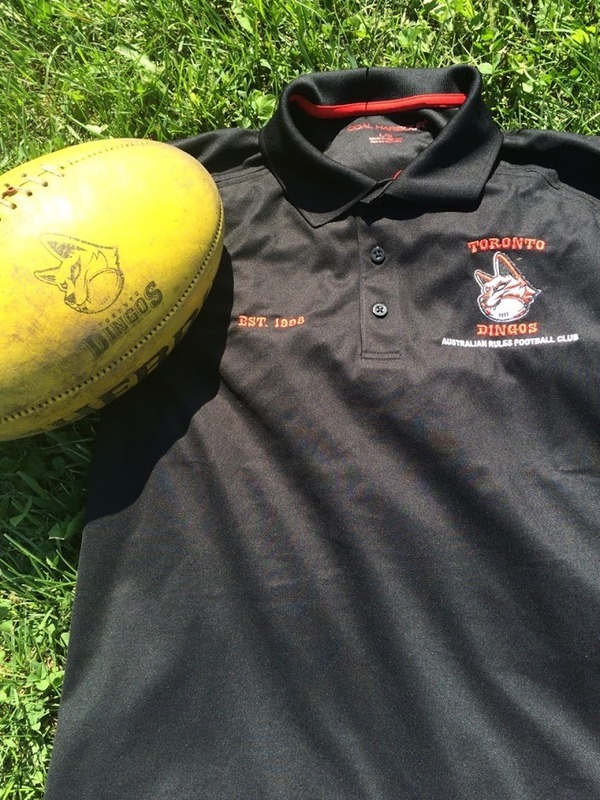 The Toronto Dingos headed to Ottawa this past weekend for their annual road trip to take on the Ottawa Swans in AFL Ontario round seven action. While parts of the field at Manotick were still showing some signs of wear from a soggy encounter the week before, conditions for this one were dry and sunny - a great day for football in Ontario. The Dingos quickly found themselves struggling in the ruck in the first half, but they were still able to get plenty of football through the hard work of rovers Steve Speers, Michael Ladd, and Sean O’Reilly, who were tireless in and around the contest. Starting full forward Rob McNaughton again showed what he can do when delivered the football, kicking three goals for the half. Stefan Cosma chipped in with two of his own from the half forward line and Ladd added one for good measure. Unfortunately for the Red and Black, the Swans had responded goal for goal throughout the first half, despite the strong defensive efforts of Tim Indian, David Wells, and Mike Karas, and took a seven goals to six lead into the halftime break. While it briefly felt like an upset might be in the air at halftime, the Swans quickly pulled away in the second half to put this one beyond doubt. The Dingos were valiant in attempting to right the ship but they were unable to move the ball through the wings and midfield with the same success as in the first half. The Dingos were ultimately unable to add another major while the Swans piled on the pressure at the other end. In the end, the Swans came away with this one 17.14-116 to 6.4-40. Speers took home the Paul Tinkler Pewter for best on ground for his outstanding effort on the ball throughout. The two teams will meet again at Humber College South in the final round of the AFL Ontario regular season, with the Dingos looking to make amends on home turf. 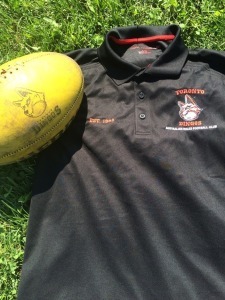 In the meantime the Dingos will now turn their attention to preparing for another tough matchup, this time against the undefeated Toronto Rebels at Humber College South on Saturday July 22nd at 3 PM.